Toothpaste is for more than just your pearly whites. 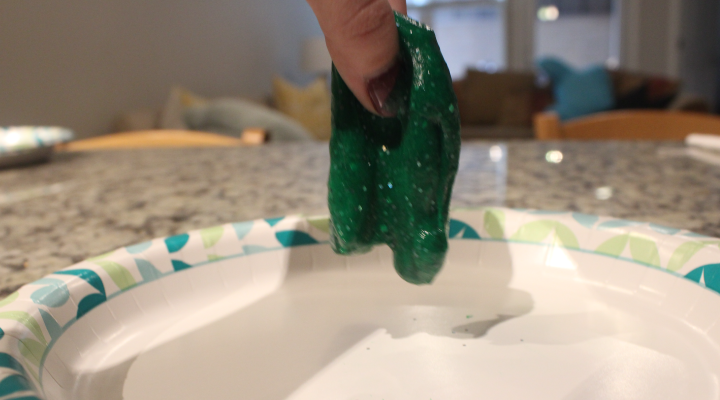 It can also be used to make your own toothpaste slime! 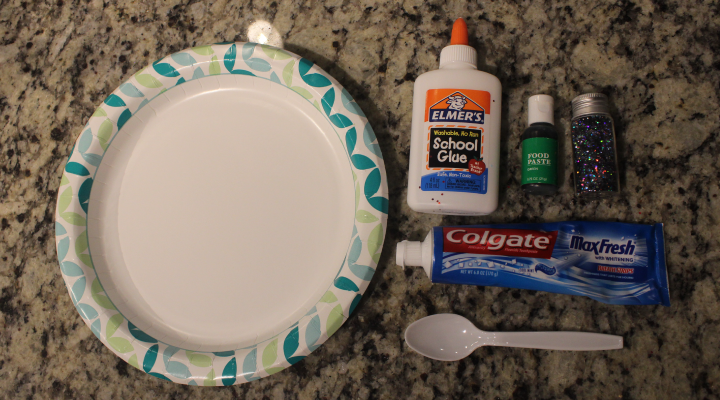 Divide your toothpaste and glue into two sections on your plate. 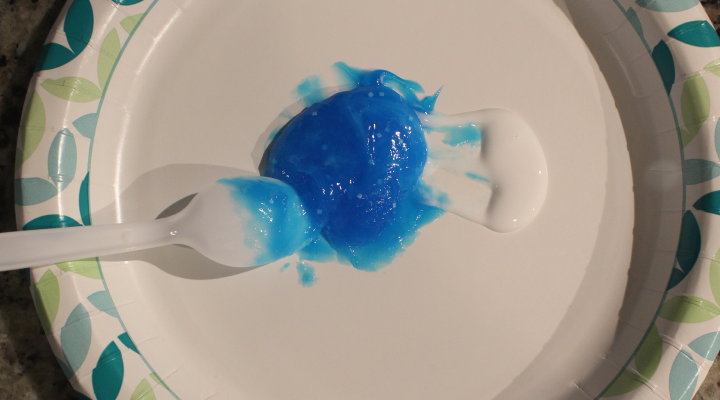 You will mix the glue into the toothpaste a little bit at a time. 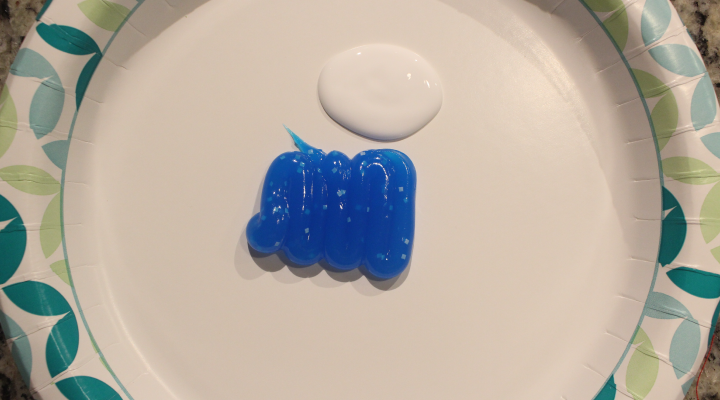 Mix the glue into the toothpaste thoroughly, until it begins to look stretchy. 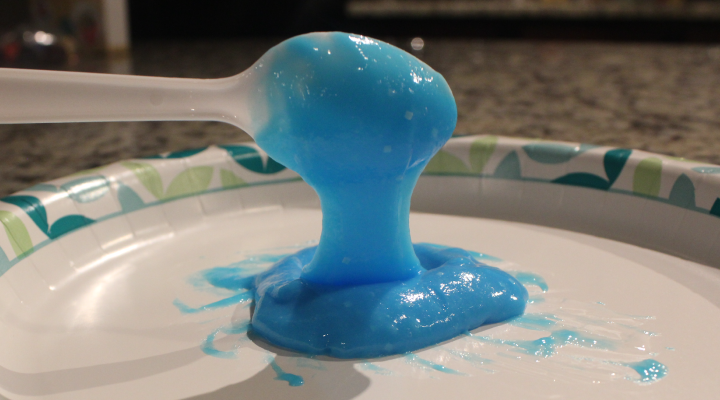 Adding a little bit of sugar after the glue and toothpaste are mixed will help the toothpaste slime become more solid. 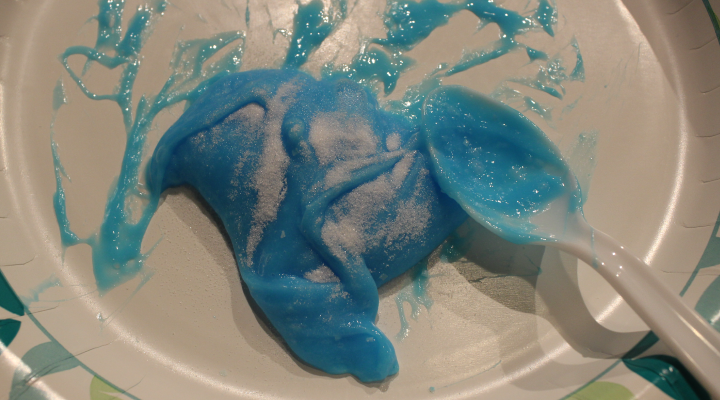 Add a little at a time, mixing thoroughly before adding more. 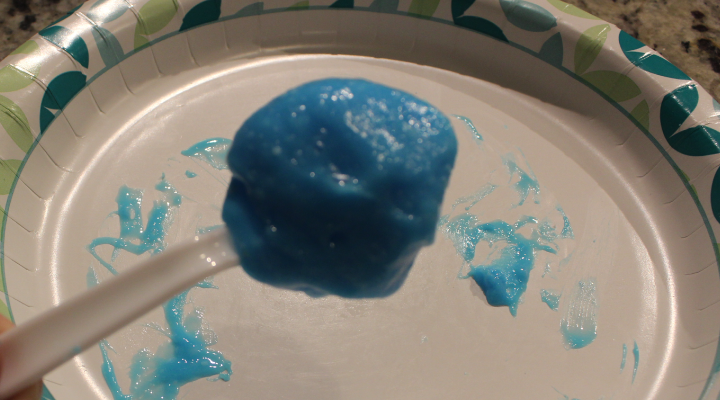 Add enough sugar so that the slime can be picked up with the spoon in one piece. 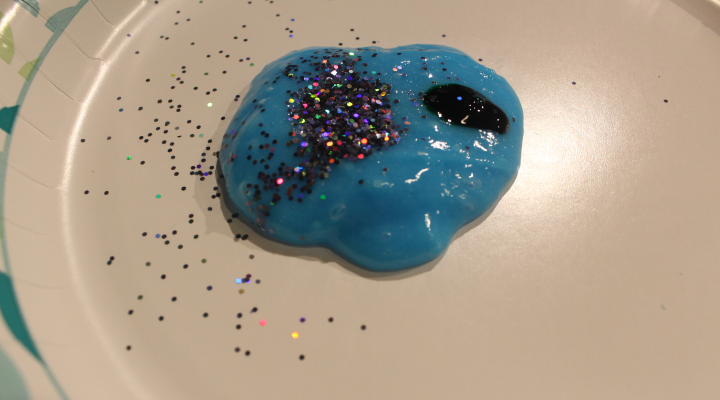 Add the optional food dye and glitter. 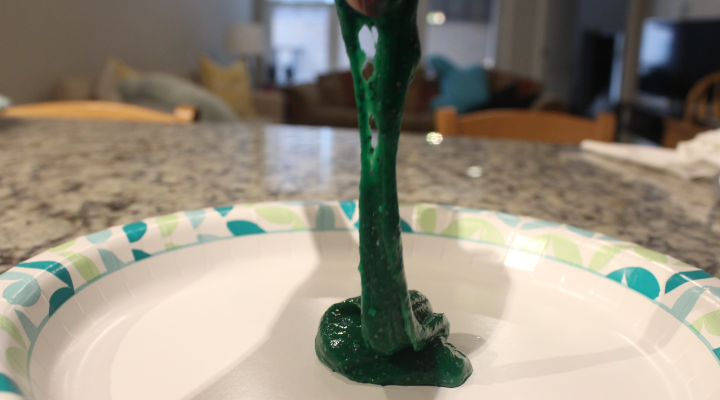 Mix together until the slime is stretchy and able to be picked up.